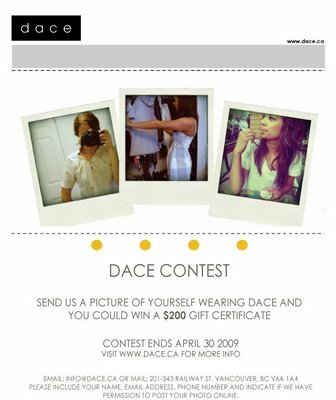 I received a lovely e.mail about a very fun contest with a fabulous prize given by Dace. As you may know I am absolutely smitten with the line. I am even tempted to cheat on my shopping hiatus and buy this pretty top. Oh, and if I happened to win then I would buy this, this, or maybe this. So many choices. I really do hope one of you win!